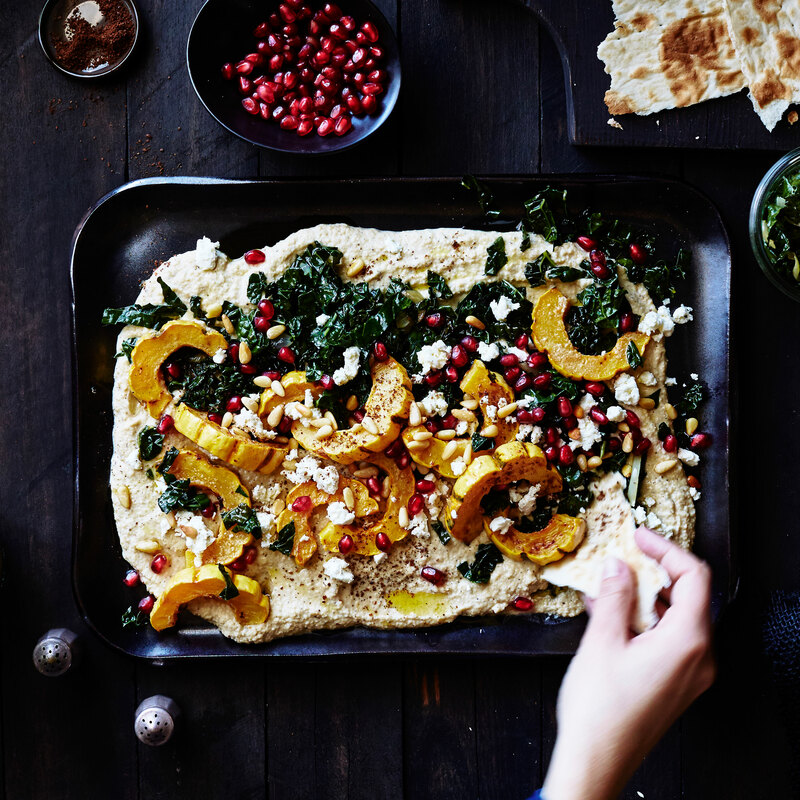 Spread hummus across a serving platter and top with kale and squash. Drizzle with oil, then sprinkle with feta, pine nuts, and pomegranate seeds. Serve with warm pita or lavash.